Mysterious places can be found around the Earth, and, inexplicably, UFOs are often sited near these mystical areas. 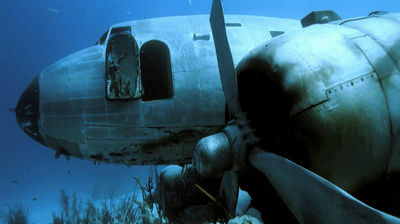 Planes and ships unaccountably disappear in the infamous Bermuda Triangle. Strange magnetic anomalies in Mexico's Zone of Silence have not only drawn missiles off their course, but seem to pull meteorites out of the sky. An ancient doorway carved into a sheer rock wall in Peru's Puerta de Hayu Marka is said to be a portal to other worlds. Markawasi's plateau is filled with strange rock formations allegedly left behind by an ancient advanced civilization. What connections do these and other "hot spots" share? Is it possible that ancient extraterrestrials also knew about these mysterious places?